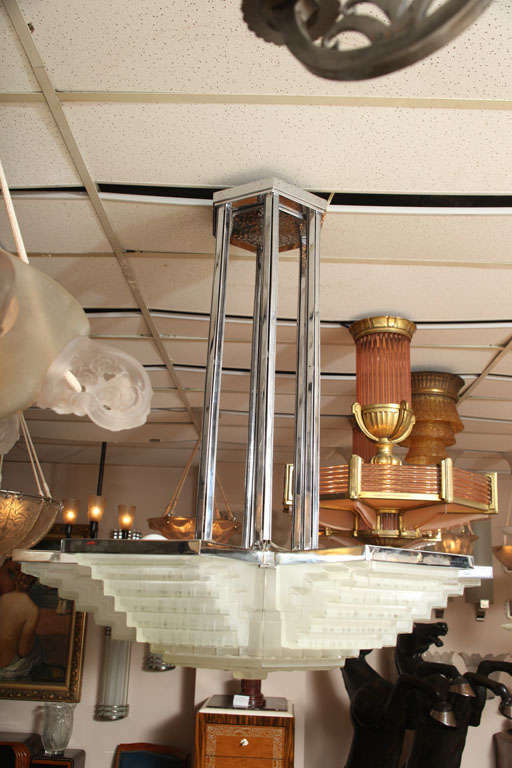 Large “Tambour” Ceiling Fixture, in white enameled optical glass, mounted in a chromed brass frame, a beautiful model used on the port lounges of the Normandie oceanliner. 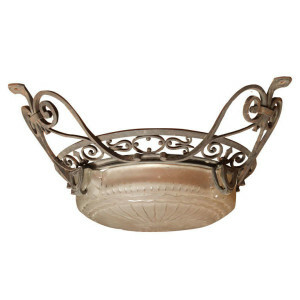 Height: 12.5 in, Diameter: 29.5 in. 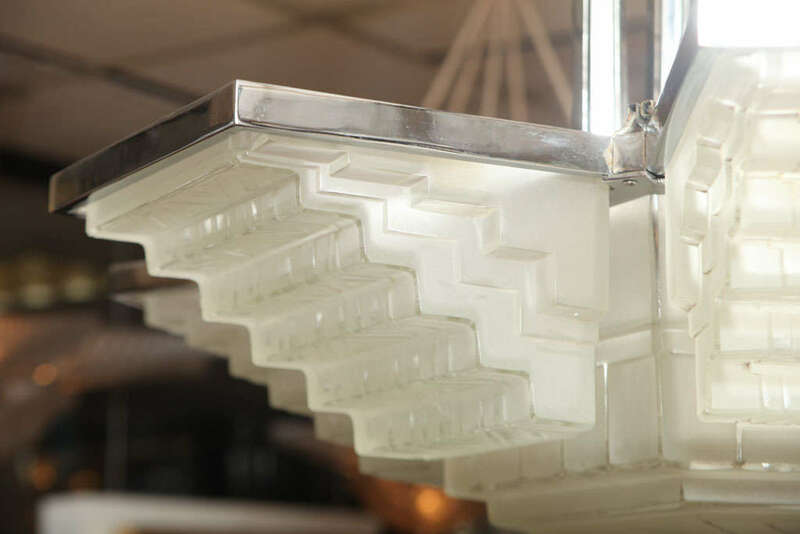 A matching pair is available in this model. 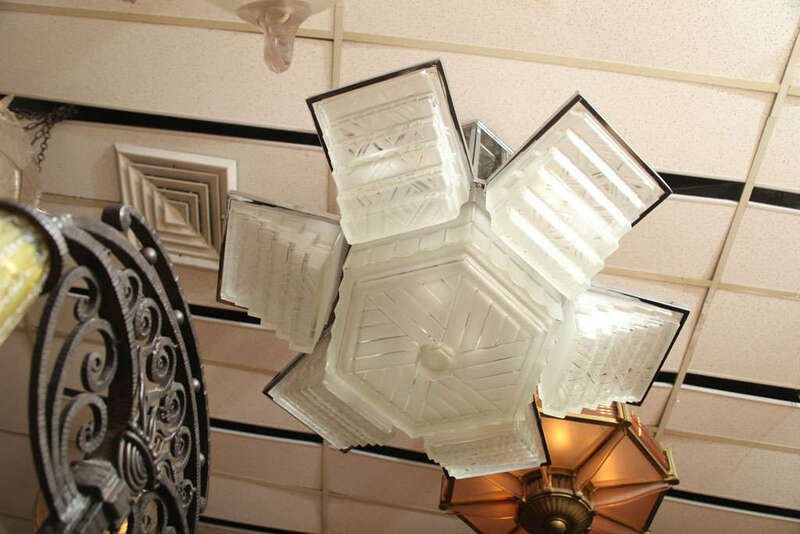 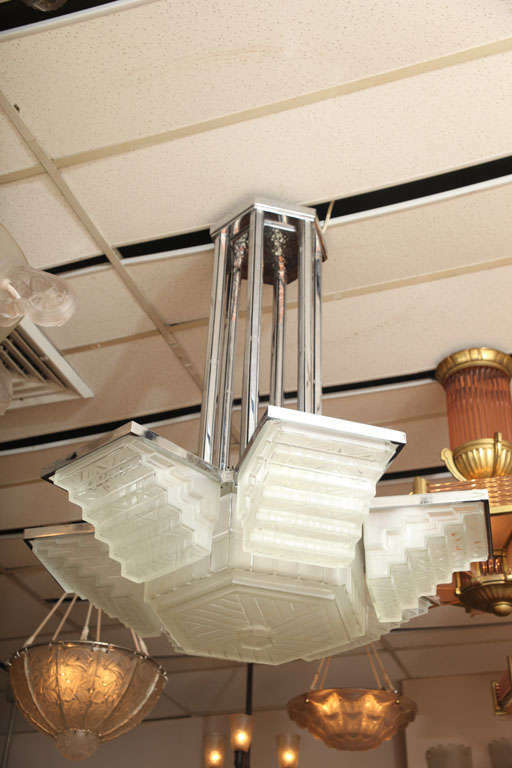 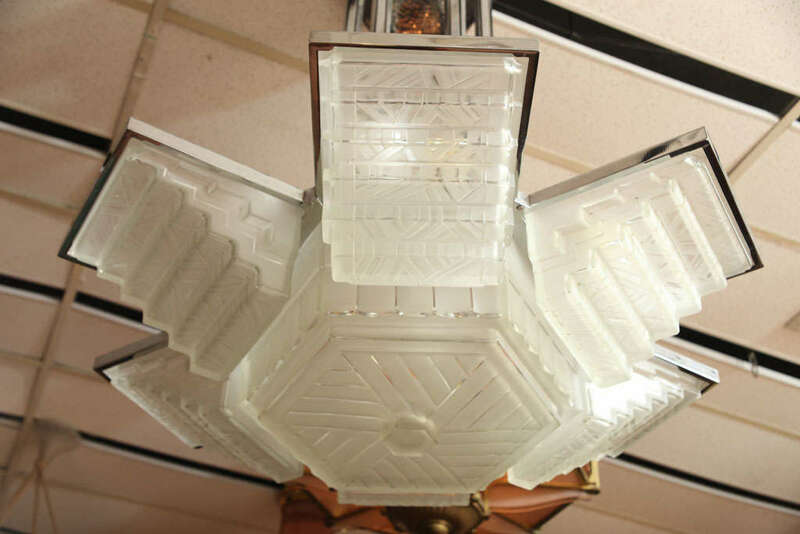 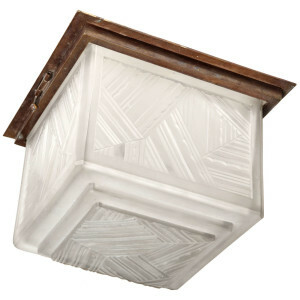 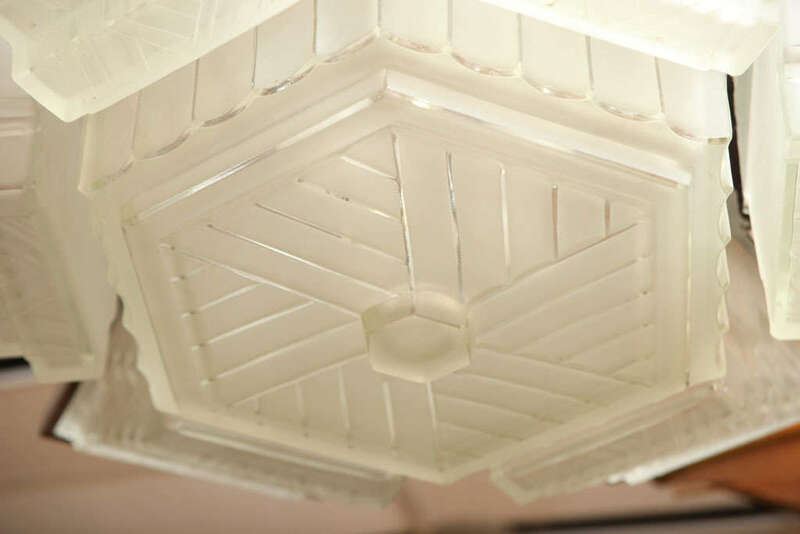 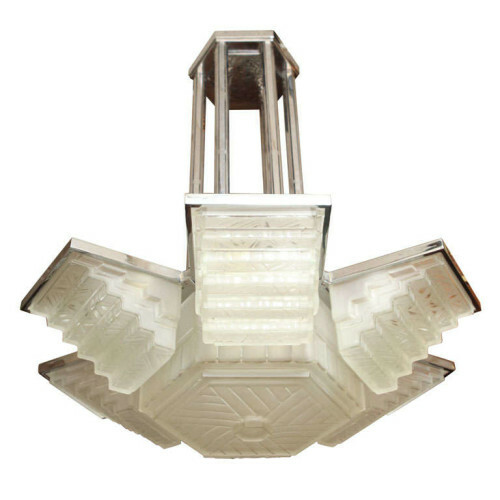 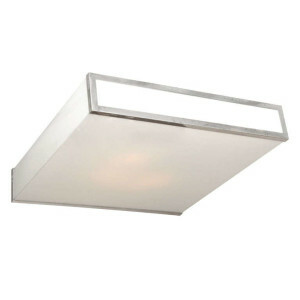 Rectangular flush mounted ceiling fixture in clear and frosted glass molded with a geometric Art Deco motif, created c. 1930, signed in the mold. 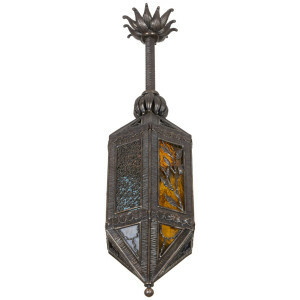 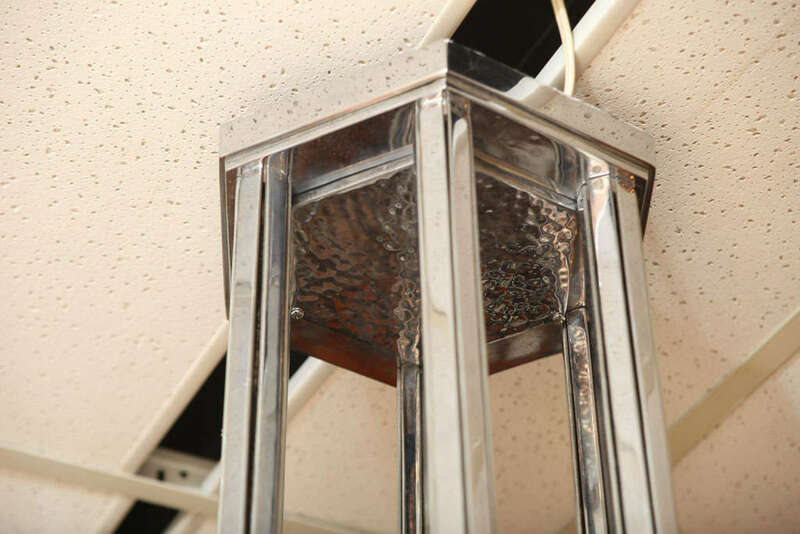 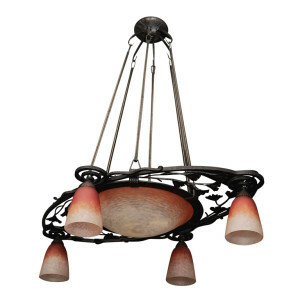 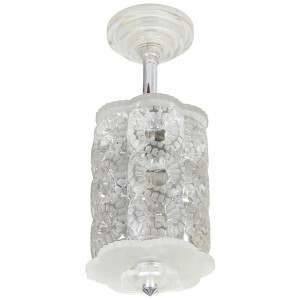 Glass shade is mounted in its original iron frame, which can be re-plated per client’s request. 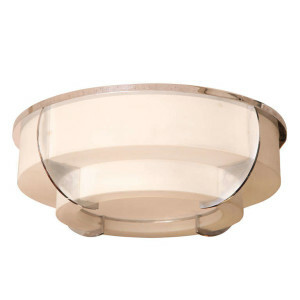 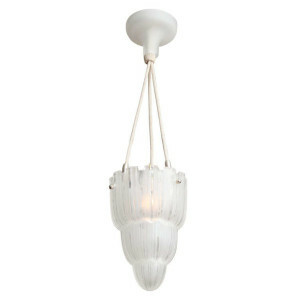 Opaque white glass shades mounted in a chromed brass frame.